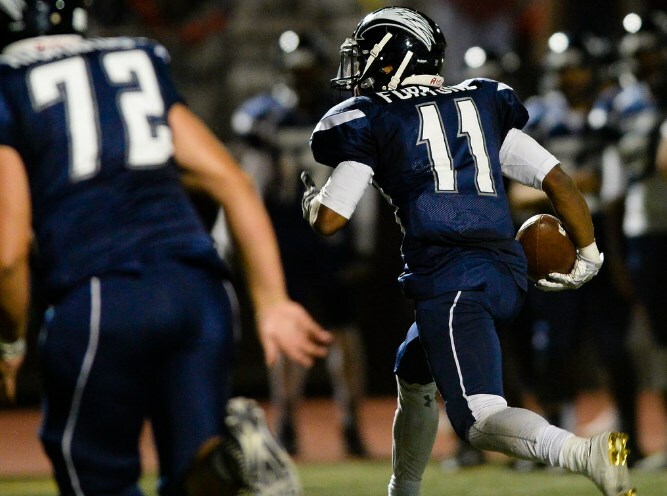 Daniel Fortune, who later scored the winning touchdown, runs against West Covina (photo by Rachel Luna). This entry was posted in football and tagged CIF-SS playoffs, football, scorelist by Pete Marshall. Bookmark the permalink.